The International Monetary Fund (IMF) is a body that has more experience than any other, in dealing with countries in financial difficulty. Commentators at home and abroad will have been paying close attention to what it said last week about Ireland’s management of its problems. Last week Mr Chopra of the IMF endorsed unequivocally the actions of the new Government here in its implementation of the IMF/EU financial programme. He praised the Governments sense of “ownership“of the programme, and its “decisive approach” on the banking situation. This approach had “doubled existing buffers against possible losses through 2013 and beyond”. I would add that Irish banks are now better capitalised than the banks of most other EU countries, including especially some of the bigger EU countries. Mr Chopra said Ireland was doing all it could to “get ahead of problems”. Any adverse developments there had been had been due to external developments. 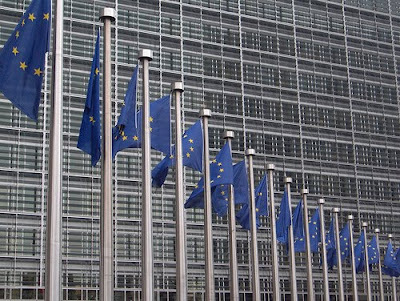 The European Commission also noted last week that Ireland’s performance was “on track”. Mr Chopra reminded his listeners that an increase in Ireland corporation tax rate was not part of the agreed EU/IMF programme because , as he put it, such an increase would not be “consistent with the overall goal of the programme in sustaining growth”. I am confident his words will have caught the attention of the French Minister for Finance, Christine Lagarde who, as an EU Finance Minister, endorsed the EU/IMF programme in the first place. She will also have noted that Irish corporation tax receipts had “overperformed”, in the IMF’s words, and are thus contributing more, not less, than expected to Ireland’s loan repayment capacity. On the question of interest rates on loans, he reminded his listeners that the IMF applies a uniform interest rate to states borrowing from it. It did NOT vary rates to borrowing states to suit the political demands of contributing states. to support states in the eurozone who may get into difficulty. That is the only way to convince markets that there will be no defaults. As far as Ireland is concerned, those who may have been alarmed by Professor Morgan Kelly’s article in the “Irish Times” should read the response in the same paper by Dr Anthony Leddin and Professor Brendan Walsh . Those who talk lightly of default and restructuring by Greece should pay attention to what that would do to Greek banks. It would destroy the collateral that those Greek banks use to borrow from the ECB, and this would lead to an overnight loss of confidence in those banks, with disastrous and sudden consequences for Greek savers, and for its entire economy. Remember that Greek banks, businesses and Government would still need to borrow NEW money after any restructuring, “reprofiling”, default that might take place, and they would find it much more difficult than before to borrow that new money. If Greece was like Ireland, and was more dependent on foreign investment than it is, that problem would be even more severe. The sort of changes Greece is going through are very painful indeed, but just as things can get better, they can also get much much worse, if the wrong decisions are made either by Greece itself, or by populist politicians in other European countries who somehow pretend that they can allow their neighbours to sink below the waves, with no consequences for themselves. The truth of the modern European economy is that we are all tied together, and we can either keep one another afloat, or drag one another down. In a recent article, the highly respected German magazine, Der Spiegel , said that “communal feeling in the EU is crumbling” and that the Government was “not even trying “ to put that right. I note also that a far right party, opposed to more help for Greece, did well in a recent Austrian election. Austrian electors should remember that, even in the 1930s Europe was so tied together, that when an Austrian Bank, Credit Anstalt, collapsed in 1931, it led to a rash of bank collapses all over Europe. If that was possible in the much less interdependent Europe of the 1930s, it is even more likely today. EU help today to several central European EU members is critically important to the health of the Austrian banks. European electorates everywhere need to recognise that time will be needed to rectify the deep and unstable imbalances that grew up in our economies since 2000, under the temporary anaesthetic of artificially cheap imports, and artificially low interest rates. That is why Me Chopra’s advice about the EU putting in place the “right amount of financing, on the right terms, for the right duration” is so wise. The EU leadership needs to develop a convincing narrative that explains, in everyday language, why we are doing what we are doing, why it will take time, and how the actions we are taking now, will eventually lead to a European economy that is much more secure than the bloated and bogus prosperity that we experienced from 2000 to 2007. Telling a convincing story about the future is a vital part of political leadership, and we need such leadership in the European Union, now more than ever before. I believe that the EU will have to move closer together politically, if we are to survive economically. The politics of this is just as important as the economics. People in all EU countries, rich and poor, need to feel a sense of ownership of the European Union. 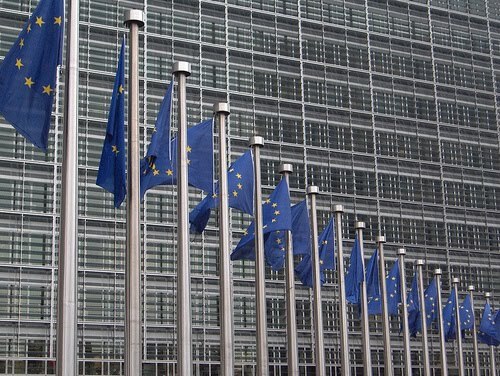 The creation of the EU in the 1950s was a first in world history, a completely voluntary pooling of sovereignty by states that had recently been at war with one another. It was an outstanding example of political engineering, as well as of visionary imagination. EU’s leaders today need to apply the same combination, of imagination and practical political engineering, to developing communal feeling among the member states of the euro, and to sustaining its democratic legitimacy of the euro, as they are giving to its economic underpinning. This is only the first crisis we will have. There will be many more. We need political institutions in the EU that are strong enough, democratic enough, decisive enough, and inclusive enough, to face anything the future may throw at them. That is the enduring lesson we must take away from this crisis. Keynote address by John Bruton, President of the IFSC, at the European Insurance Forum in the RDS Concert Hall at 8.30 am on Monday 23rd May . WHY ARE THERE SO MANY MORE MEN JOBLESS IN IRELAND THAN WOMEN?